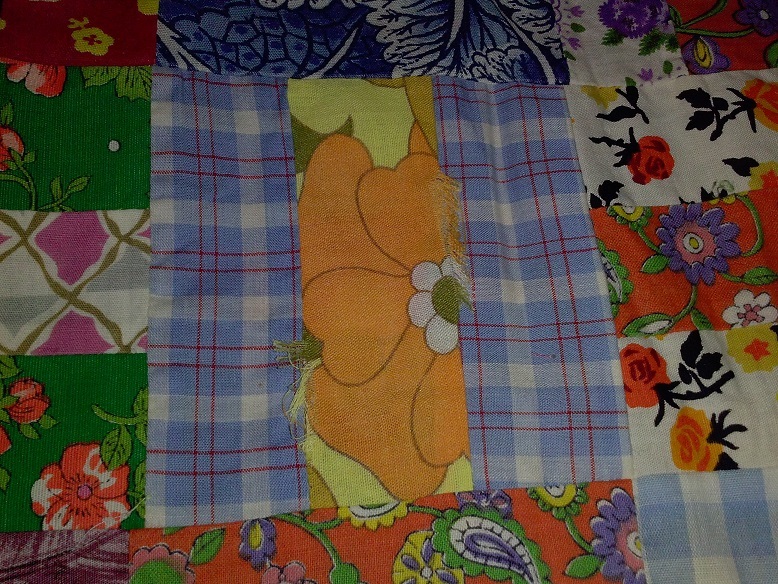 I am in possesion of a quilt top that my great grandmother made and I finally found a backing that works with the top. 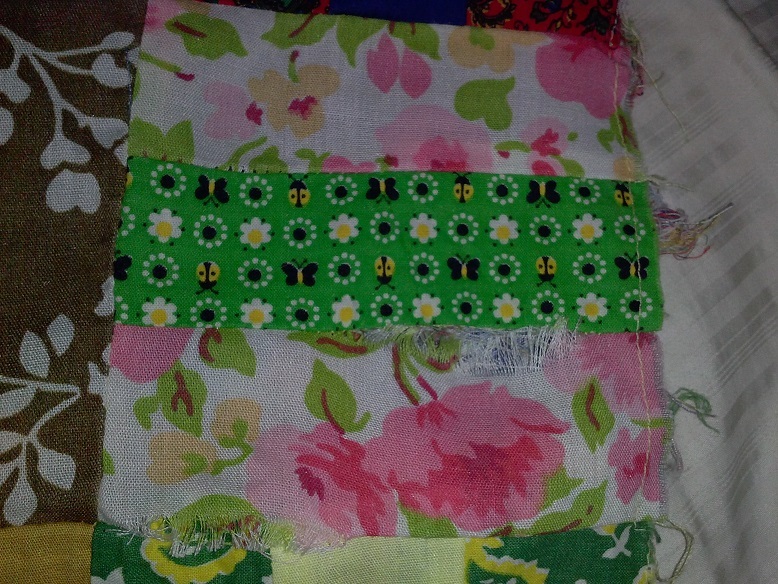 While awaiting the arrival of the backing and batting, I was looking at the top to figure out how to quilt it when I noticed that some of the fabrics are coming apart. I counted 10 blocks that would need bits replaced. I have fabric that I could easily use that wouldn't look out of place in the quilt. Also I've included a picture of the back of the top. Should I clip all those threads or just leave them be? I would definitely replace the fraying pieces. As for the threads, I would not worry about them unless they show through the top. I did go through and clip the threads, they seamed to be catching on everything and it gave me a chance to look at all the seams on the back and I may be replacing a few more patches. Any advice on how to replace them would be appreciated! I'm not all that keen on cutting out the frayed pieces in order to sew a new one into the space, but I've never done any applique, which I'm thinking might be the easiest way to go. I do have a quilting hoop if I would need that for appliqueing the new pieces on. I think I would remove the bad pieces and replace them rather than applique over them unless you are thinking of appliqueing a design element that covers more than the small rectangle. To me the change in height of an appliqued rectangle compared to the pieces next to it would be distracting. Maybe it wouldn't be noticeable after quilting. I would simply remove the stitching to take out a bad piece, then hand sew in the replacement piece. This is simply hand sewing with a running stitch instead of machine stitching. It wouldn't be applique, but rather hand piecing. It appears to me that your problem blocks are all a heavier weave that not tight as the rest. I'd be tempted to take all of them out and replace with a tighter weave fabric. 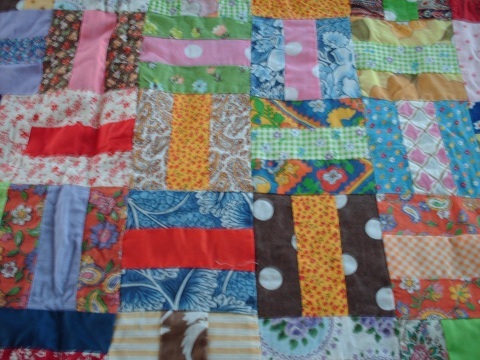 If you intend to keep and use the quilt, the time would be well worth it. My thoughts are that the older fabric will be of a different weight than the newer fabrics, and that applique over the old pieces will keep the quilt from warping and stretching..you might run into big problems when you try to remove stitches, and at any rate, also...it de-stabilizes the piece right next to it, and before you know it, you'll be replace the entire quilt! My plan would be to make a piece the correct size to cove the bad part, iron under the seams, then applique it down, using very small, close stitches. anyway..please post pics when you do this or get this finished..we all need to learn , and I would love to see it finished! Good luck! 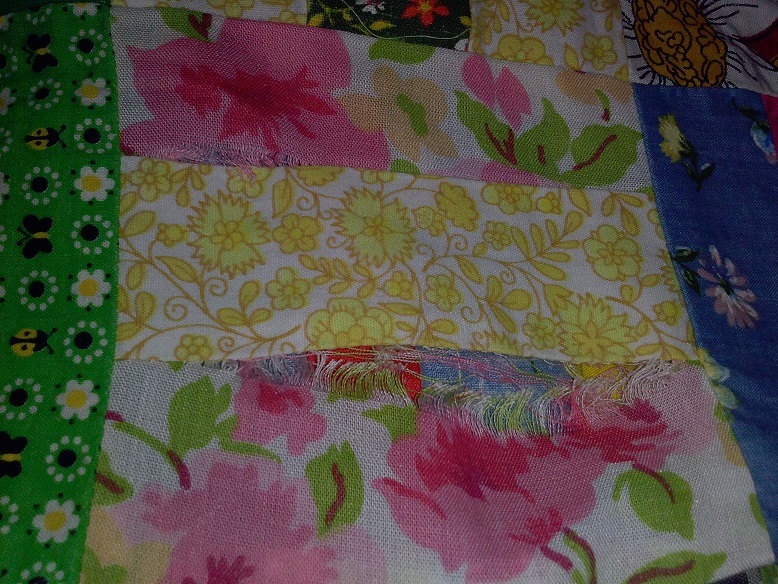 Is the quilt top large enough to "rob" some squares to replace those that are coming apart? 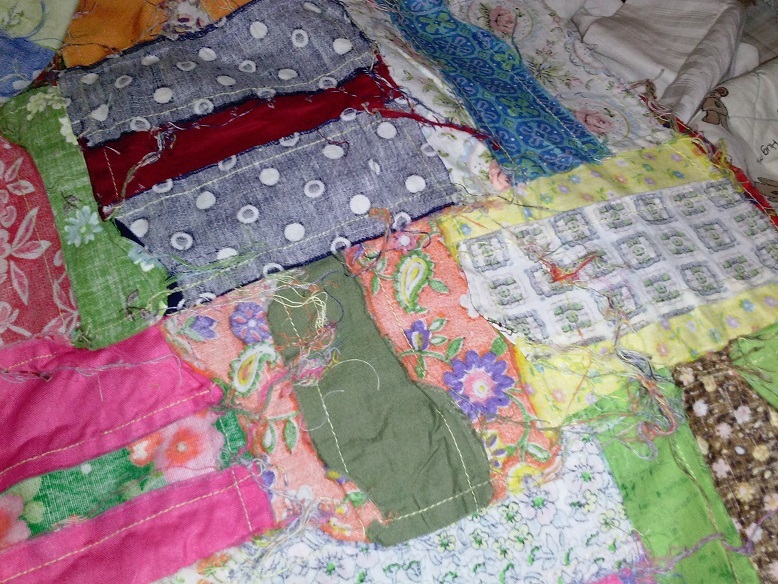 I repaired an old quilt with similar problems. Since this is just a top and not quilted yet it shouldn't be too difficult. More than likely it was made from leftovers of prewashed fabric so I would make sure anything you add is also prewashed. I did exactly what some others are suggesting. I carefully appliqued the new fabric over the old with very tiny stitches. If this were a museum piece, the experts would probably recommend not doing anything at all to it as it can decrease the value of a vintage piece. But since it's something you want to be able to display and handle, maybe even cuddle up with, you want it to be in usable condition. It's so neat to have something like that made by you great grandmother. I love my family pieces, no quilts, but some beautiful crochet pieces and embroidered linens. It's a connection to my past. Enjoy! And do post pics when you're done. This method is what I was taught to do years ago, but I would iron on a fine stablizer on the back of the frayed pieces, keeps more shredding from happening. Good luck, and post pics.